I just finished reading Cherie Dimaline’s book, The Marrow Thieves. It’s kinda sad that it was voted out on Day Three of Canada Reads. 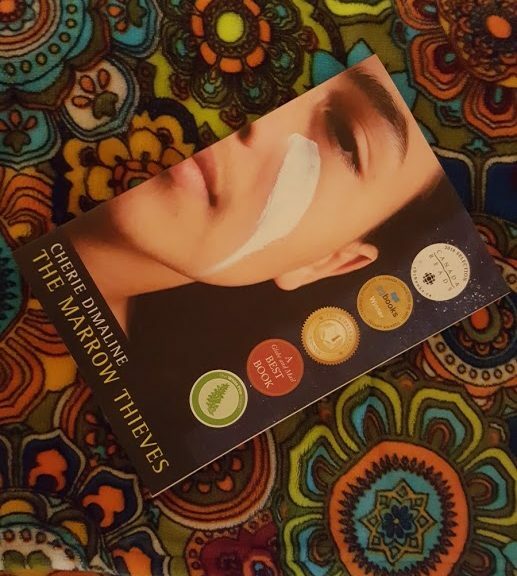 The Marrow Thieves is a story about a world in which Indigenous peoples are being hunted and harvested for their marrow. Why, because, the rest of world have lost the ability to dream. The book follows Frenchie as he travels north and meets with various other runners. The Marrow Thieves reminds us of how the European settlers abused the Indigenous people upon contact. I was reminded of the horrors of the residential school system and the “sixties scoop” while reading this book. This book is must reading for anyone wanting to better understand the continuing Indigenous experience.